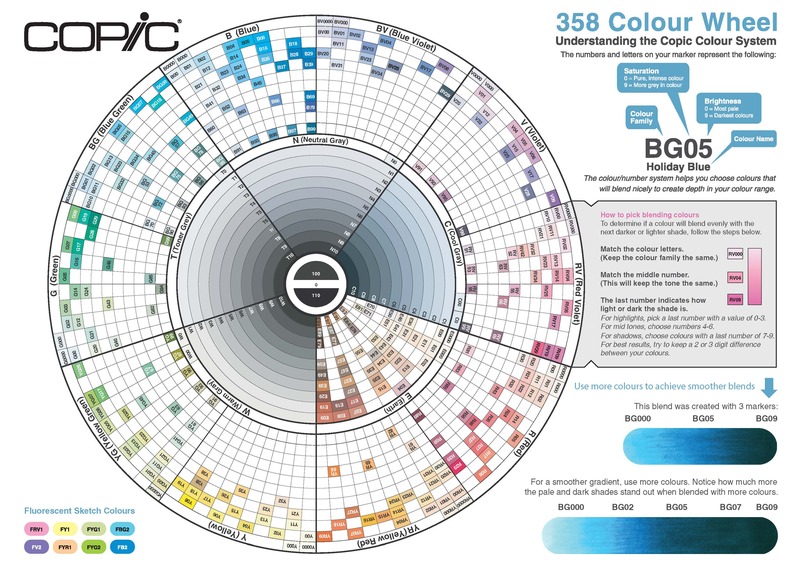 The Original Copic colour wheel is a great tool to use to find blending combinations; you can download it here. A good rule of thumb for basic blending is to choose colours from the same family with the same first number and the second number 2-4 digits apart. Eg. B02 + B04. When you are confident working with basic blending combinations you can extend the variety of colour by adding lighter and darker colours from the same band making your spectrum of colour B00, B02, B04, B06.